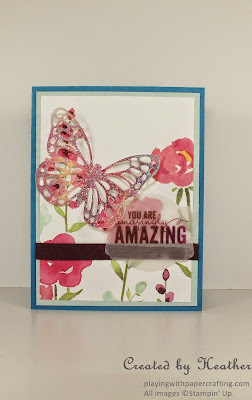 The butterfly on this card required several steps to finish it, including watercolouring, die cutting and using Heat and Stick Powder to adhere some Dazzling Diamond Stampin' Glitter to it. 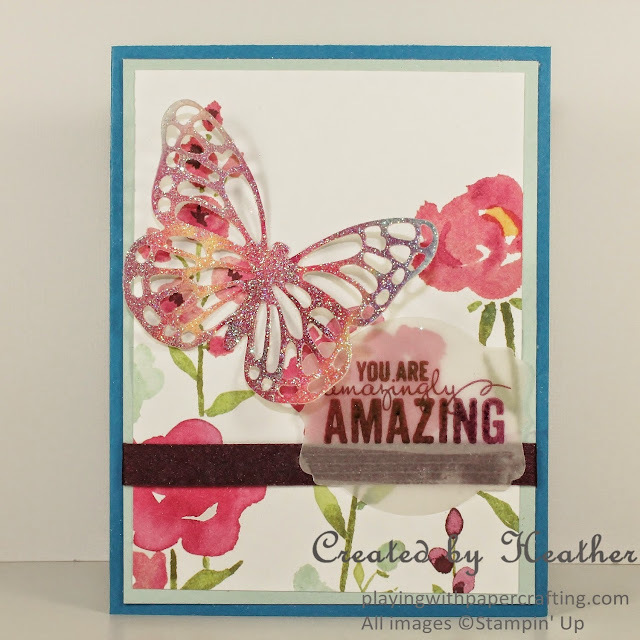 The sentiment, stamped on vellum with Blackberry Bliss ink is from the Painted Petals stamp set as well and is one of my favourite! 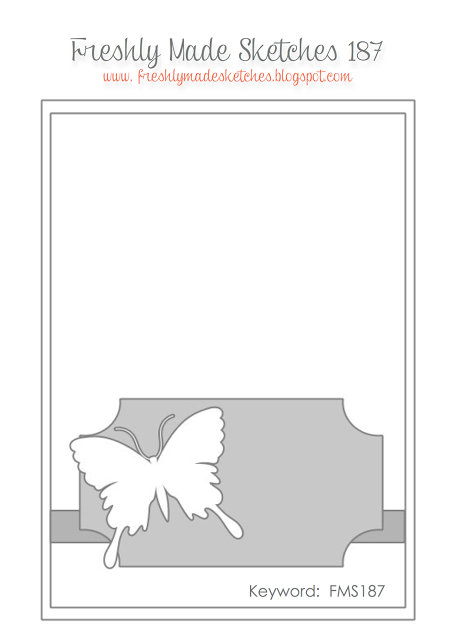 Because I am providing a step-by-step tutorial in my newsletter, I will not be leaving a list of supplies used today. 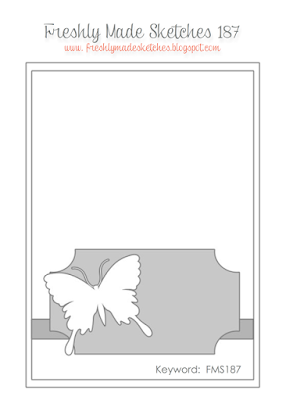 You will find that listed in detail, along with measurements in the photo tutorial. I just wanted to remind you, if you had put it off, that this is your last week to order from both the 2015 Occasions Catalogue and the 2014/15 Annual Catalogue. June 2 will be a cross-over day. You will be able to order from the old Annual Catalogue at old prices (where there are duplicates in the new Annual Catalogue) and also from the new Annual Catalogue. Old Hostess rewards apply on June 2, but that will change on June 3 to the new way of calculating Hostess rewards, using percentages of sales. You can still get bargains of up to 50% off on many items, but many have also sold out. Check below for an up-to-date list of retiring products and get your orders to me as quickly as possible, or shop online at your convenience at my On-Line Store. Thanks for dropping by today. Please leave a comment! I like to get to know my readers better. I just love the colors and sparkles on the butterfly. It sounds like hard work to do but the effect is amazing! Thanks for joining us at Freshly Made Sketches! Oh so pretty! What a lovely mix of papers and embellishments! Thanks for joining us at FMS this week!